I treated myself to the Shiseido Translucent pressed powder after failing to find a powder that would take away excess shine but didn’t add a caked effect or colour of any kind. I had always heard great things about Shiseido but had never tried any of the products myself, so I figured Id give it a go. I am so glad I did, I absolutely adore this product. I bought it from Feel Unique during a 15% off sale, so I got it slightly cheaper, but generally it retails for £32.50 for 7g. Yes, that is quite pricey for a setting powder, but the quality really makes it all worth it. 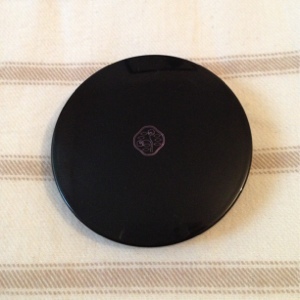 It comes in a cute compact, with a mirror and an application sponge. 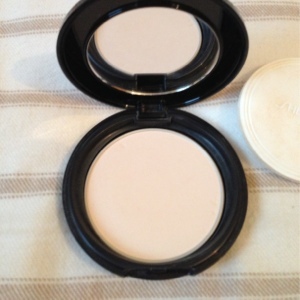 The powder is extremely finely milled and then packed into the compact. You can then either use the sponge applicator or your own brush to apply the powder. I use a kabuki brush from Bdellium, softly sweeping it through the powder and then dabbing it onto my face in the areas that I want to be set – generally my under-eye concealer and forehead. It doesn’t add any colour at all, leaving your face the same colour as the foundation you have applied. It instead takes away any excess shine and leaves your foundation set into place for the day. It is exactly what I wanted. For all of you who prefer loose powders, you can pick up the 18g pot of the powder for just £2 more. I chose to go with the compact just in case I ever wanted to throw it in my bag one day and use it on the go, without the hassle of powder falling out everywhere. But everyone is different and I know a lot of people might prefer the powder. But overall, this is a product that will last me for so long, you literally only need a tiny amount each day, and it does exactly what it should do. I will definitely be buying it again when it runs out. Has anyone else tried this powder?